Some gaming monitors offer motion blur reduction technology which can increase motion clarity by backlight strobing. You can enable this feature in the OSD (On-Screen Display) menu of the monitor; you will find it under different names according to the monitor model, the most common ones are ULMB, ELMB, 1ms MPRT, DyAc, LightBoost, etc. So, you’ve got yourself a fast CPU, a powerful GPU, and a high refresh rate gaming monitor yet you’re not satisfied with the gameplay performance due to prominent ghosting or trailing of the fast moving objects on-screen. 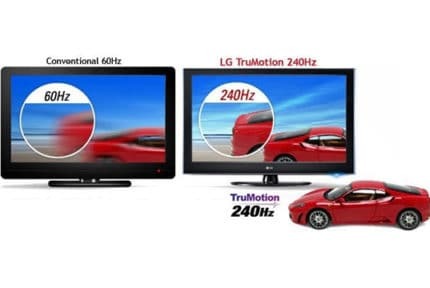 The single best solution is a gaming monitor with motion blur reduction technology such as Ultra Low Motion Blur, LightBoost, BenQ DyAc, ASUS Extreme Low Motion Blur, 1ms MPRT, etc. In short, enabling motion blur reduction makes the display strobe the backlight in order to create CRT-like motion clarity which is ideal for competitive fast-paced games. NVIDIA’s LightBoost technology is outdated and only available on older monitors whereas ULMB is featured only in certain G-SYNC gaming monitors. When Should You Use Motion Blur Reduction? The quality of motion blur reduction will depend on many things including your system rig, monitor, video game, and picture/driver settings. In truth, enabling backlight strobing won’t always make the gameplay look smoother. 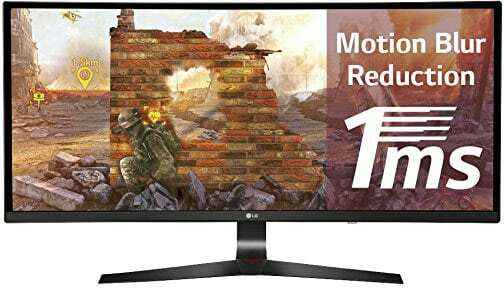 Games will look the best when your refresh rate is close or equal to the frame rate which can be difficult to achieve since motion blur reduction cannot work at the same time as FreeSync or G-SYNC variable refresh rate. Depending on the game, you should try various different settings. Sometimes games will work better with VSync Off and sometimes with VSync On (or FastSync/Enhanced Sync). If VSync On introduces too much input lag, you can try to manually cap the frame rate in video game settings. Also, note that enabling motion blur reduction decreases the monitor’s brightness. Some backlight strobing techniques will have additional settings available including LightBoost and ULMB ‘Pulse Width’ which alter the length of the backlight flash/pulse. 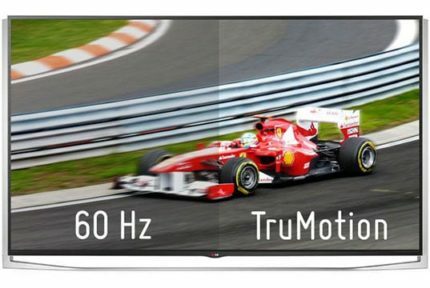 The amount of motion blur will also depend on the panel type (IPS, TN, or VA). More precisely, on their native response time speed. Basically, VA panels have the slowest response time speed of all panel types, so even if a VA gaming monitor has a high refresh rate and motion blur reduction, fast-paced games will have prominent motion blur. TN panels, on the other hand, have the fastest response time speed, usually only 1ms which is why they are the most popular choice for competitive gamers. IPS panels are somewhere in-between the two when it comes to the pixel transition time. Lastly, OLED panels have an even faster response time than the TN. Moreover, they don’t use a backlight which further increases motion clarity. However, there are no OLED gaming monitors available on the market yet.